Comment: I want to replace my existing sliding glass door. Comment: I would like to get an estimate for Our Front Entrance Door was partially completed. We are fielding competitive offers to repair the door. Comment: Just need the door installed, siding and Drywall is removed. I will do all the finish work. Comment: We are interested in installing French Doors in our dining room to lead out to our back yard patio. There is currently a 5' window in that space and we would like to use the same width for the doors. There is no electrical outlet on that wall. Seattle Door Services are rated 4.75 out of 5 based on 1,159 reviews of 48 pros. 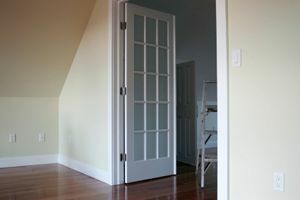 Not Looking for Doors Contractors in Seattle, WA?